Note: you can’t add features to uploaded layers unless you import uploaded layers to the database first. 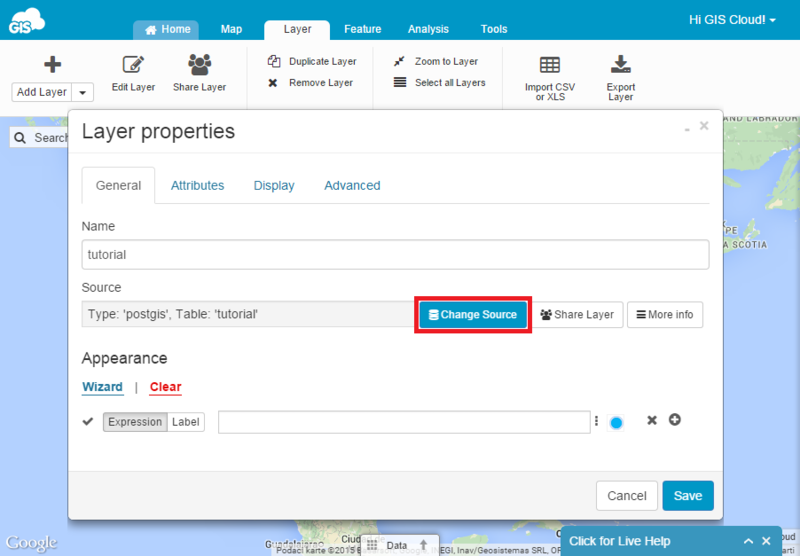 Select Create Layer from the Add layer dropdown menu. Table name – Enter the name of your new data layer. Geometry type – Select point, line, multiline, polygon or multipolygon as your feature type. 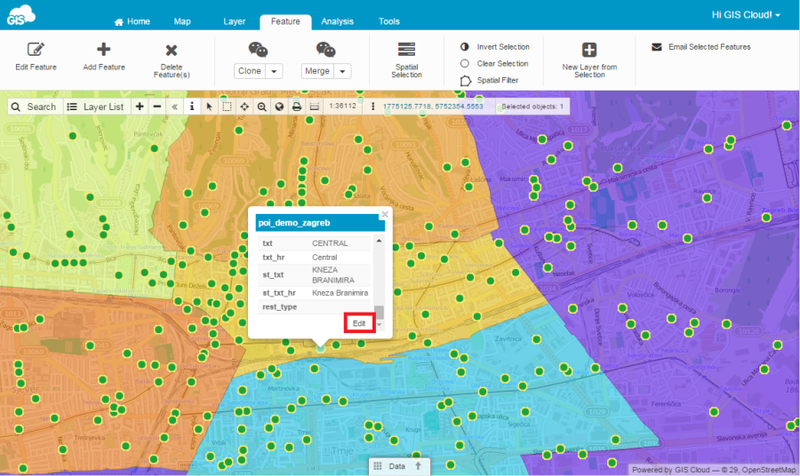 Projection – Select a new projection or select an existing one being used in the active map. Overwrite if exists – You have the option to overwrite an existing data layer if it bears the same name as your new data layer. 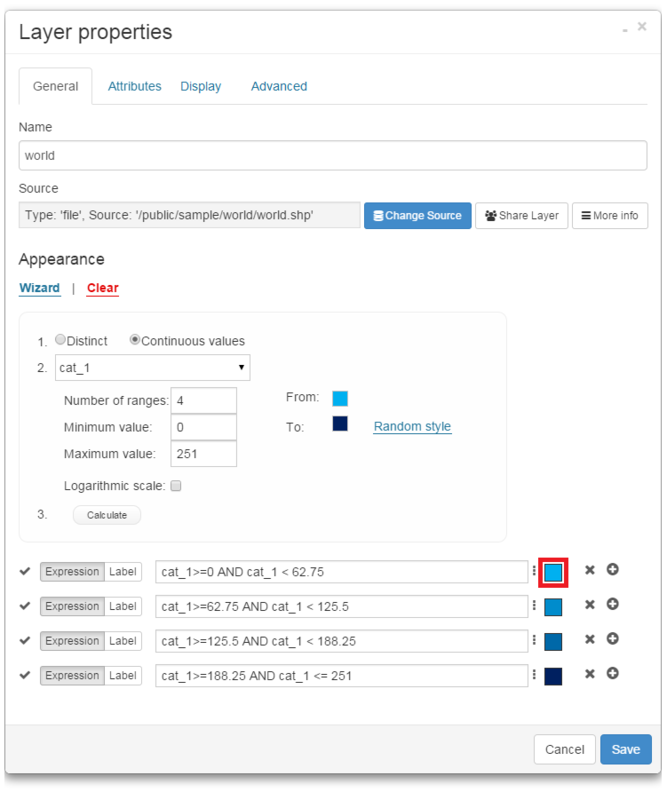 Copy Structure Form – You may define the structure of your data layers table by copying the attribute table from another existing layer. This operation does not define point, line or polygon geometry. Select Edit Layer function from the dropdown menu. It is possible to visually edit a layer through Layer Properties and Appearance. Double click on a layer to open Layer Properties. Style – set visual settings: colors, symbology, line width, hatch patterns. Labels – set persistent labels. Levels – set from which to which zoom level layer will be visible. Here you can find more information about visual layer editing. Select a layer on the Layer List. Select the Edit feature from the ribbon (on the Feature tab). 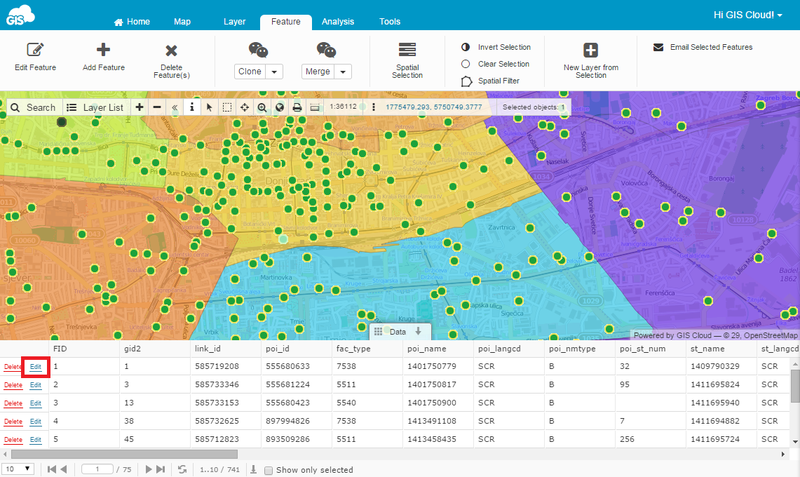 Select the feature which geometry you wish to edit and move the point to the desired location. Choose Save to save a new point location or Cancel to undo editing. Choose Edit Geometry from Info Panel. 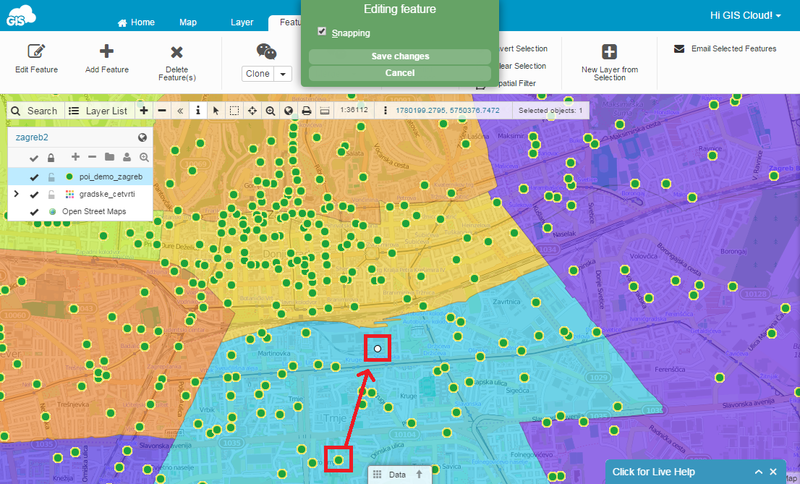 Change a location of the feature. It is possible to edit attribute data through Data Grid, Info Panel and Info Window. Select a layer from the Layer List. Select Edit attributes from Info Panel. 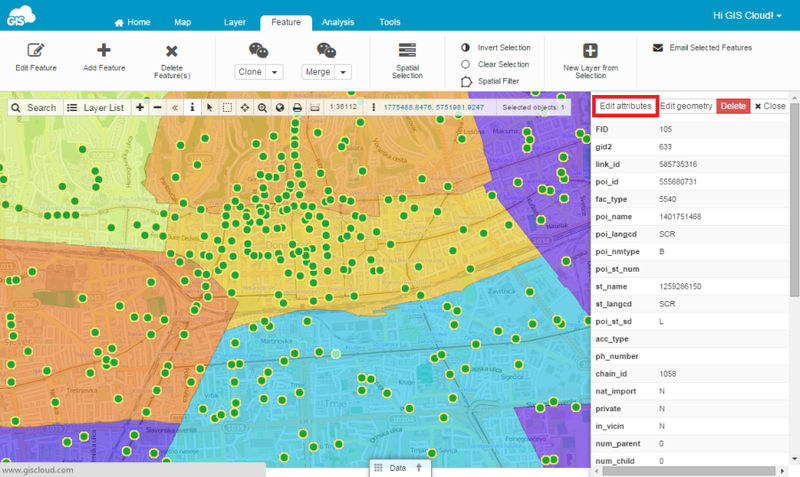 After editing layer in external GIS software and uploading layer in the GIS Cloud it is necessary to update layer source in GIS Cloud map so changes are visible. 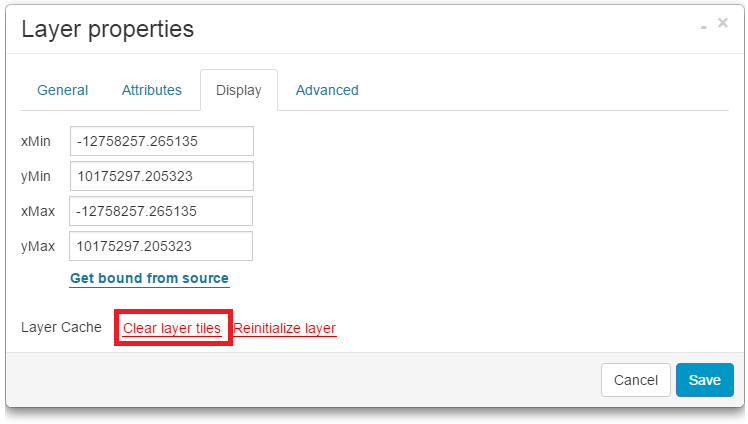 Also, if you like to change a name of the folder within File Manager it is necessary to update layer’s source, otherwise, the layer will not be visible on a map. 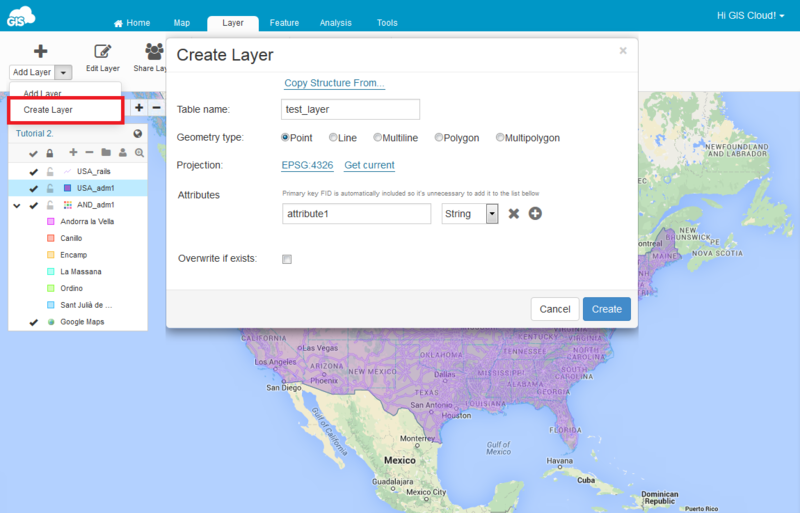 Upload layer in the GIS Cloud File Manager. Open map in GIS Cloud Map Editor. Browse new layer and click Select and Save. Now we have to recache a layer. 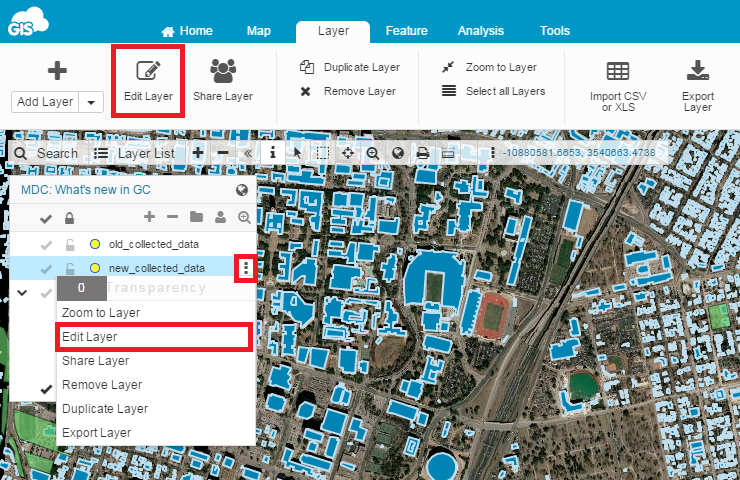 Open Layer Properties of updated layer. Click Clear layer tiles button.